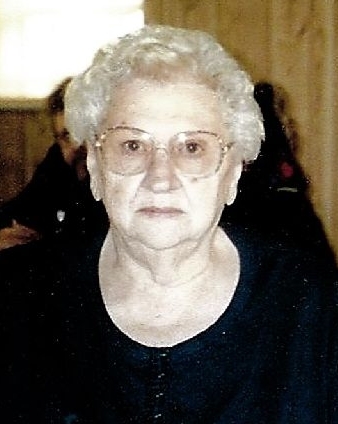 Ellen “Irene” Busch, 90, of Eldon, Missouri passed away Friday, February 8, 2019 at Eldon Nursing and Rehab in Eldon, Missouri. She was born November 27, 1928 in St. Louis, Missouri the daughter of the late Mart and Maude (Hoskins) Carrender. On June 8, 1950 in Henley, Missouri she was united in marriage to George Edward Busch who preceded her in death on November 21, 2012. Seven brothers and sisters preceded her in death. Visitation will be Wednesday, February 13, 2019 from 12:00 PM – 2:00 PM at Phillips Funeral Home of Eldon, MO with the Funeral Service beginning at 2:00 PM with Rev. David White officiating. Burial will follow at Greenmore Memorial Gardens in Barnett, MO. In Lieu of Flowers, Memorials in her name are requested to the Alzheimer’s Association.